Are you experiencing leaking in or around your chimney? This could be a potentially dangerous problem, and it could lead to serious issues in your home if you don’t get it taken care of quickly. 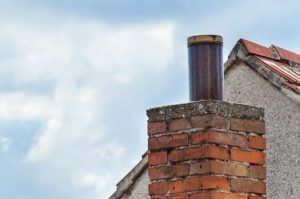 There are many reasons for chimney leaks. Check out several of them below. Flashing, which is typically made out of aluminum, is the material that is placed around the portion of your chimney that comes up out of your roof. Over time, the flashing can crack or tear, and when that happens, it can lead to water seeping into the area around where your chimney and roof meet. The good news is that this is a pretty easy thing to fix. Nevertheless, the bad news is that, unfortunately, some people don’t realize their flashing has gone bad until it’s too late. You should have your chimney and roof inspected annually to turn up any potential problems with your flashing. The mortar is what holds all of the bricks used to make your chimney together. Mortar isn’t designed to last forever, though. Over time, it can start to crack, chip, and fall off. This can lead to water working its way in between your bricks and finding its way into your home. This issue can be especially problematic for those who have chimneys in shaded areas. Water won’t evaporate quickly from these spots, which will give it lots of time to find ways into your home through spots on your chimney with missing mortar. Your chimney cover essentially has one job: Keep leaves, bugs, animals, birds, and yes, water out of your chimney. If your cover were to ever go missing due to the weather, your chimney would be susceptible to all kinds of different invaders. So you should replace a chimney cover right away if it ever goes missing. and fix any issues that are affecting it. Call us at 570-424-8891 today to schedule an appointment.